The lower house of the Russian parliament on Friday approved the ratification of the strategic offensive arms reduction treaty in the first reading. The decision was supported by 350 deputies, while 58 voted against. 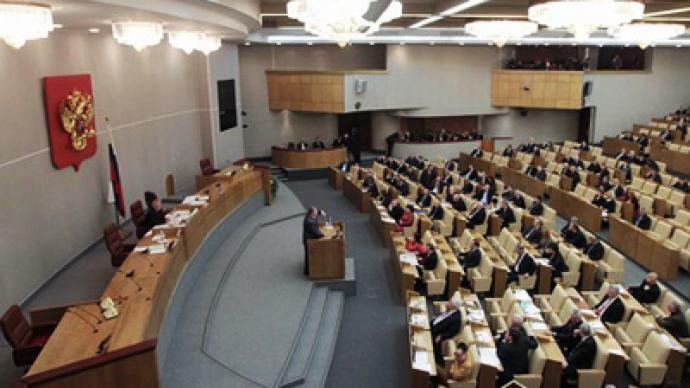 The State Duma will debate the document in the second reading in mid-January. Deputies are expected to draft their own resolution in response to conditions set by US Senators, who voted for the ratification on Wednesday. The ruling United Russia and Fair Russia parties had earlier indicated they would support the ratification. Deputies from the Communist Party and the Liberal Democratic parties demanded on Friday morning that the ratification be removed from the agenda completely. But the proposal to remove the item was supported by only 98 deputies, while the required minimum was 226 votes. The Communists wanted the parliament to postpone the ratification process. They explained that deputies should have time to study the amendments and comments to the treaty made by US Senators. The Senate on Wednesday ratified the treaty by a 71-26 vote. Sergey Obukhov demanded that deputies consider the treaty’s version passed by the US Senate. “We must not be a decoration,” he said. Vladimir Zhirinovsky, the leader of the Liberal democratic party, said the Duma was being asked to “hastily consider the main issue of the 21st Century – Russia’s disarmament.” He believes the treaty may weaken Russia’s defense capabilities. In fact, deputies had several months to examine the treaty. The two countries’ leaderships had made it clear the ratification processes in Moscow and Washington would be synchronized. Konstantin Kosachev, chairman of Duma Foreign Affairs Committee, who represents United Russia, accused the opposition deputies of “working for TV cameras.” The lower house has never examined the ratification bills in three readings, Kosachev stressed. This time it has been done because of the importance and complexity of the issue, he noted. Russian Foreign Minister Sergey Lavrov also voiced concerns over the US Senate resolution. The Republicans’ conditions were included in the document’s final text. Some of their points are “more hard-lined" compared with the principles offered by the Senate Committee on Foreign Relations, the minister stressed. Lavrov told the Duma that the senators’ attempt to reject the link between strategic offensive arms and missile defense was “legally unsubstantiated.” Also, the Senate stressed the treaty does not apply to new kinds of non-nuclear strategic weapons to be developed in the future. “But this is not true,” Lavrov said. However, the treaty meets Russia’s interests, the minister noted. He warned that the State Duma’s failure to ratify the treaty would undermine the country’s reputation. According to Lavrov, the agreement really brings the relations with the US “to a fundamentally new qualitative level,” which means equality, parity, and a balance of interests. Lavrov believes that the pace of the ratification in Russia was “in no way accelerated.” And the State Duma will response to the interpretation of the agreement by the US Senate, he said on Friday. The lower house will adopt its own resolution while debating the issue in January. A special statement will offer a reaction to the US resolution, but will not affect the text of the document, Lavrov noted. 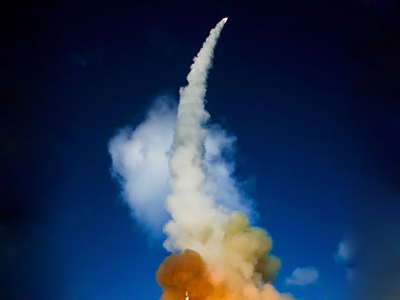 According to the minister, the main issue concerns the link between strategic offensive weapons and missile defense. The US interpretation of conventional warheads is also “unacceptable” for Russia. Lavrov described the approach as “unilateral”, according to which future strategic range systems with non-nuclear warheads, which are not mentioned in New START, should not be regarded as new types of strategic offensive arms. However, on the whole, “common sense” prevailed, Lavrov believes. During the ratification process neither US Senators nor Russian Deputies amended the text of the treaty itself, he said. Defense Minister Anatoly Serdyukov told the deputies that Russia’s strategic nuclear forces would not be reduced after the ratification. “Not a single military unit” will be disbanded during the fulfillment of the treaty, Itar-Tass quoted him as saying. New START will not damage Russia’s security, he said.